Melted Ring 01 in Sterling Silver by Welfe. Melted Ring 01 has a melted texture, as though the metal has just cooled and set in this semi-fluid state. 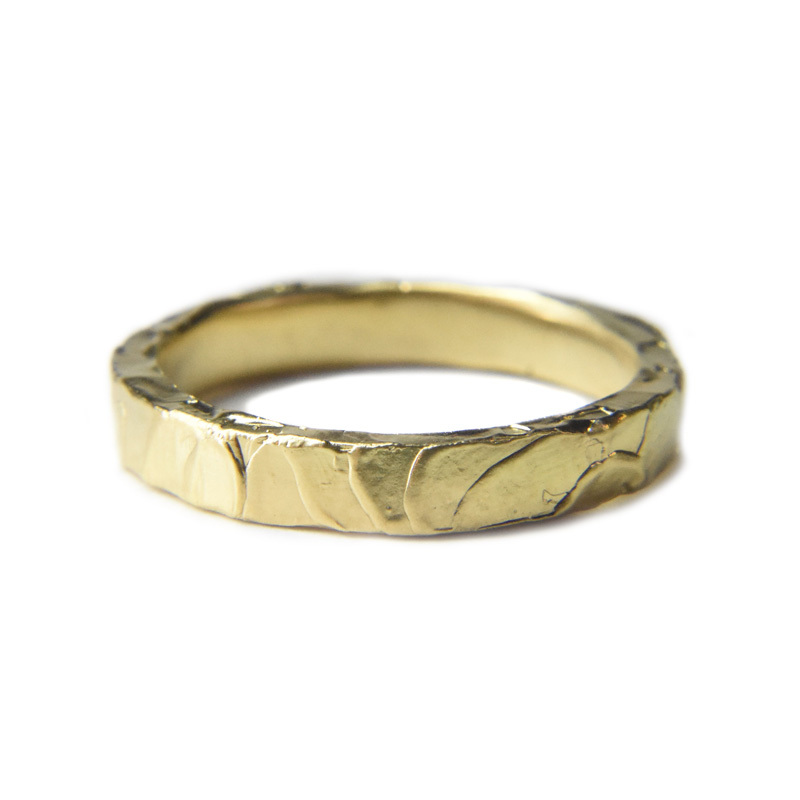 It has a relatively flat edge, ideal for stacking next to other rings. It measures approx 3.5mm in width and 2mm thick. Available in Sterling Silver or Gold. No two rings have the same pattern. Melted Ring 01 has a melted texture, as though the metal has just cooled and set in this semi-fluid state. It has a relatively flat edge, ideal for stacking next to other rings. It measures approx 3mm in width and 2mm thick. Available in Sterling Silver or Gold. No two rings have the same pattern.